Like the Air Force Reserve, the Air National Guard is comprised of citizen Airmen who train part time, close to home, until called upon for duty. These professionals serve both federal and state governments — assisting their communities and helping the Air Force guard America's skies. There are more than 140 Air National Guard units throughout the U.S. and its territories, with varying service options for a Guardsman to choose from. Service members share their views on the Air National Guard. Staff Sgt. Saul Mendoza: I take pride in putting on a uniform every morning because it stands for something — and I honestly don’t see myself doing anything else. Airman 1st Class Carlos Puga: I wanted to do something that would make an impact in my life and set me up for success. Senior Airman Jonathan Massey: We all play a role that helps accomplish the bigger mission. Staff Sgt. Saul Mendoza: Now that I’m older, going to school, I understand how important it is. So I’m giving it everything I got. Because — and that’s also something I got from the Air Force: You’re there, you’re going to do it, why not do it your best? Airman 1st Class Carlos Puga: The Air Guard really doesn’t interfere much with my studies. I think one of the great things that you learn, even in training, is time management. And I think that has really helped me as far as creating that balance. I tried other things, but it seems like the Military has probably the best way to position you. Even if you don’t know what you want to do in life, at least you’ll have a solid foundation that will always make you stand out above most of your peers. Senior Airman Jonathan Massey: Hands down, the Military is the best decision I ever made. To join the Air National Guard, you must be between 18 and 39 years old (17 with parental consent). While exceptions are sometimes made for candidates with GEDs or other high school equivalents, high school diplomas are preferred. The ASVAB test is used to match recruits with jobs. 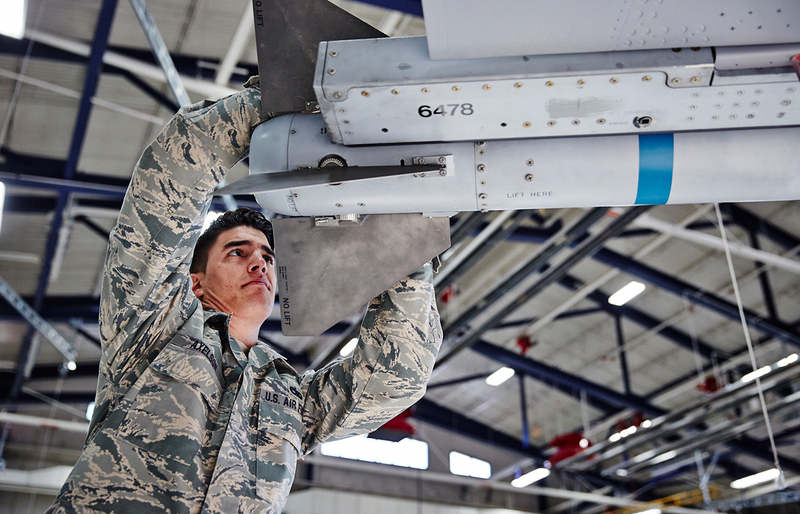 The Air National Guard offers more than 200 career specialties, from telecommunications to ordnance disposal. All members of the Air National Guard develop valuable skills and character that civilian employers find very desirable. The Air National Guard offers many of the same benefits as the active-duty Air Force. Members of the Air National Guard maintain a civilian career when they are not training or called to serve. They have the flexibility to train near home, with access to the same professional training as full-time service members. They receive a paycheck for all time spent drilling and deployed, as well as benefits and tuition assistance.